当然，如果你手头上没有这种特别的 50 仙硬币或 RM 1 纸币，那么或许你还可以找找家中是否还有特别的其他硬币，如 1971 年的 10 仙硬币等等。加油啦。以下是有关旧硬币的价钱 (Malaysia Old Coin Price). 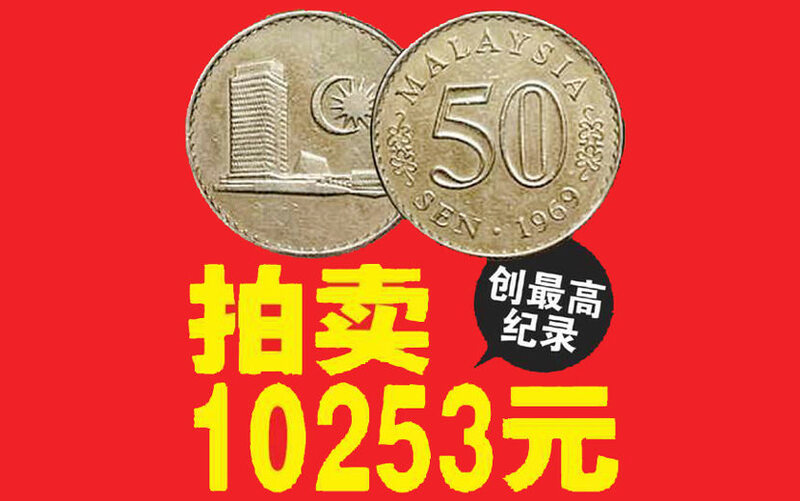 需要看年份，比方说 1970 年的 20 sen 可卖 RM10. Lot 07-50, 7th Floor, Berjaya Times Square, No: 1, Jalan Imbi, 55100 Kuala Lumpur. 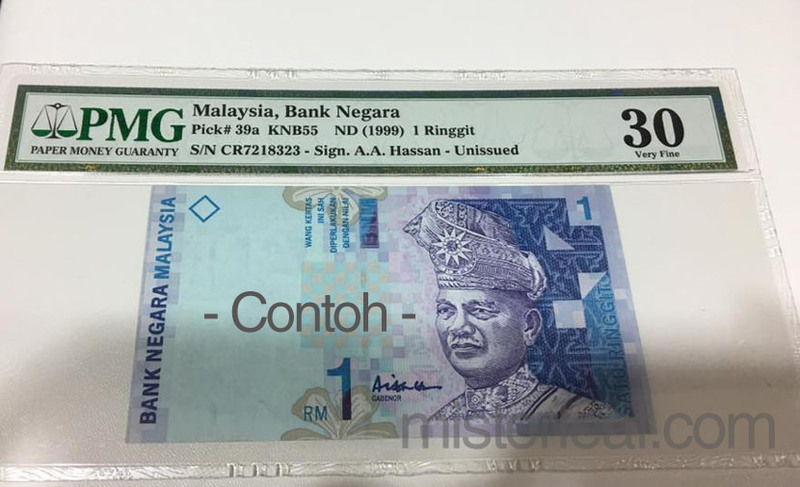 你说的应该是 Tan Sri Dato’ Seri Ali Abul Hasan Sulaiman (1998-2000), 他的签名有点像 Aishah 的，是吗? Hi my mother inlaw hv a few old coins and she intend to sell off. If anyone want to find some info about my Old coin ?Just search at Facebook John Coin Lee and add me! 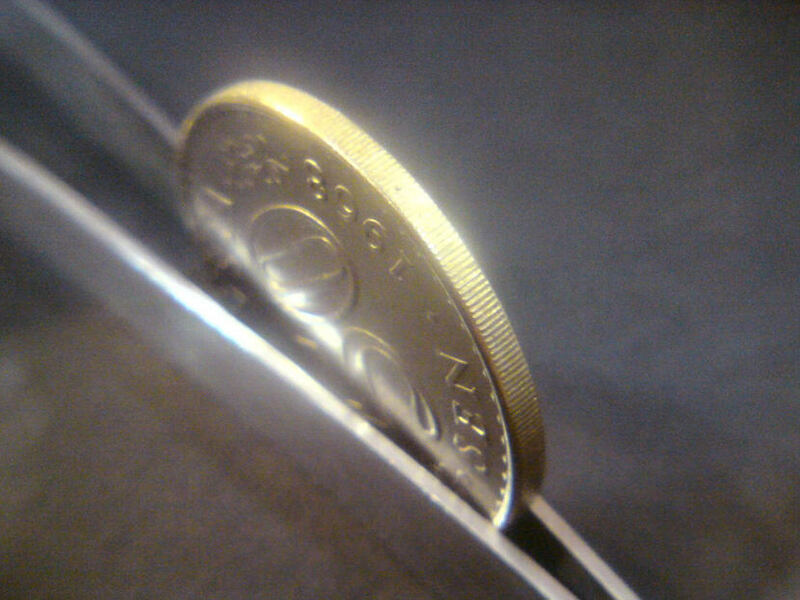 Hi, Do you have wechat that i can add u and send u the photo of old money paper and old money coin? do you like to purchase the united state coin , it dated back to the year of 1899. 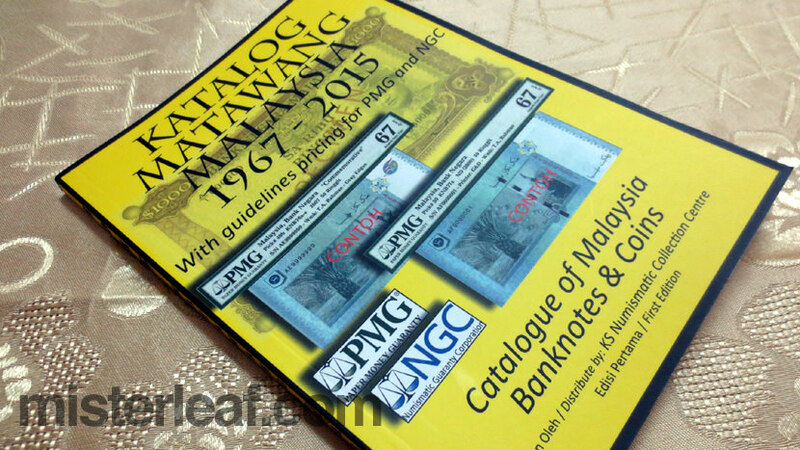 I hv malaysia RM1 old note, coin and singapore old coin and dollar want to get buyer. BEFORE TOMMOROW 31/10/2015 00.00 a.m.
我有1940 -50 年的一分硬币， 四方的，英女王。。 市场价是多少? 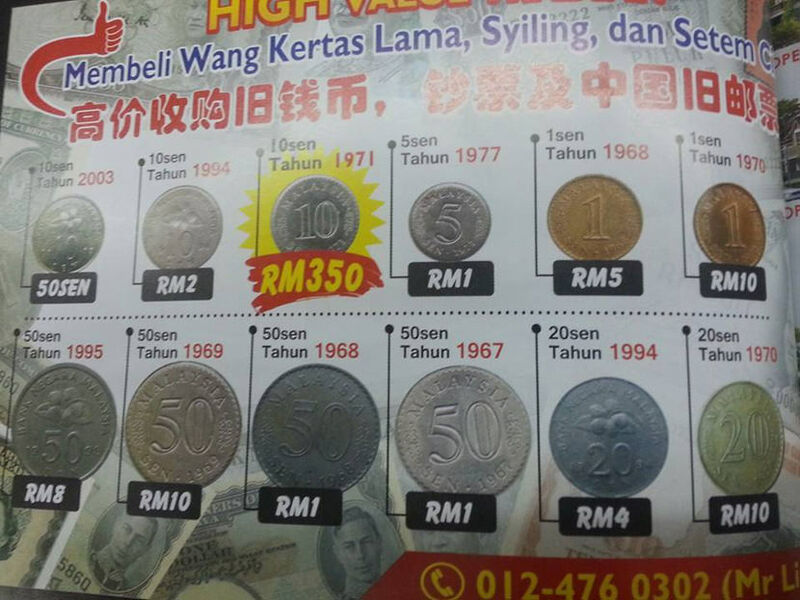 1971 年的 50 sen 有火车路的吗?